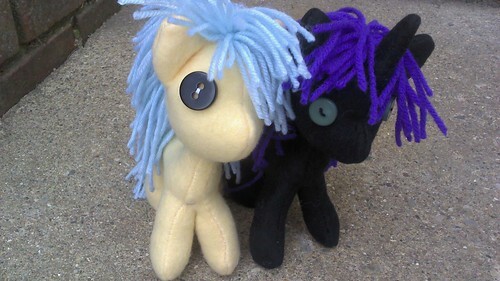 Dolly Market Forum - Not your average Ponies. 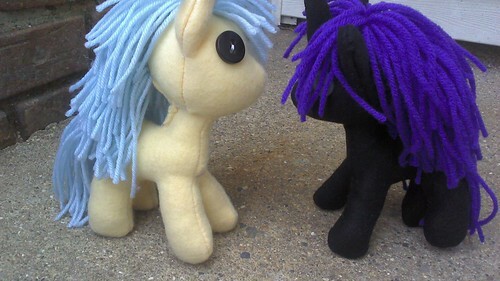 Dolly Market Forum > Doll and Art Galleries > Pony Photos! 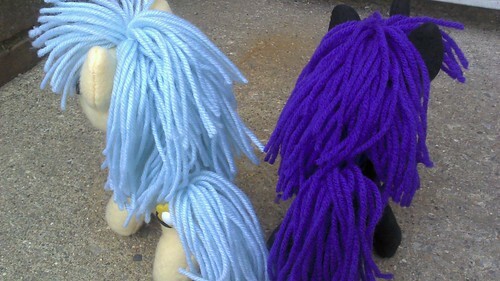 > Not your average Ponies. Full Version: Not your average Ponies. 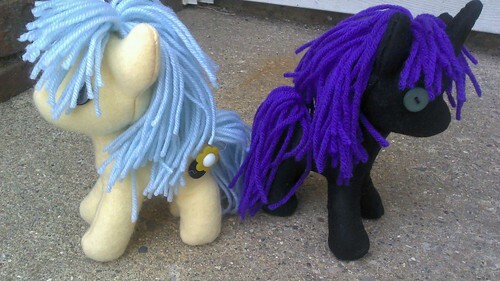 So, I found this pattern for My little Pony plushes by VoodooTiki, so I decided to try and make some. They are so cute! I really like how they turned out. The button eyes are perfect! Wow, they came out great! You can claim that! They are awesome! Great job!